When Jessie's dad invites her out to the military camp to visit, Jessie and the kids embark on what should be a pleasant vacation, however when they arrive Jessie is shocked by some news her dad reveals. 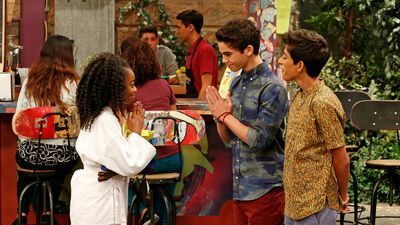 Jessie and Zuri discover Stewart has a new laid-back "manny" named Hudson. Having grown to like Stewart, Zuri resents being told not to see him, and they run off together. Jessie races to make sure the Ross kids make it to school on time, but there are many bumps along the way. Creepy Connie returns with a sidekick, Mackenzie. The two play a cat and mouse game as they vie for Luke's affection. The series concludes with Christina Ross returning home and Jessie heading to Los Angeles for a role in a movie. But when the kids realize they still need Jessie, they follow her to Hollywood. Jessie offers to introduce the kids to NBA All-Star Chris Bosh, who's in town to play one of Luke's favorite local basketball teams at the park. 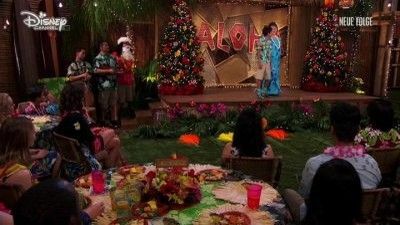 While the Ross Family has their traditional "Gotcha Day", Jessie is left in charge to help celebrate the time when Zuri was first welcomed home in New York City. When Ravi tells the story when he first arrived in the United States, he tells Jessie that they thought Mr. Kipling was supposed to be a baby because his room was decorated as a nursery. Jessie accidently blurts out that Morgan and Christina were probably expecting a baby. Ravi gets incredibly upset; Christina gets infuriated with Jessie. The huge reveal almost ruins "Gotcha Day". Later on, Morgan and Christina tells them that his birth certificate had a typo and instead of Ravi being born in the year 2001, it said 2011, so that is why the Ross' were expecting a baby. 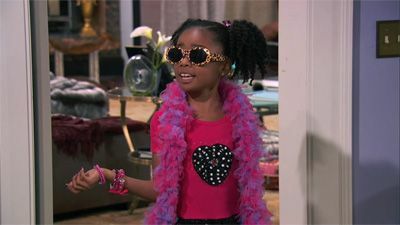 In the end, Ravi forgives Morgan and Christina, and they give Zuri a zebra as a "Gotcha Day" present. Jessie thinks Luke﻿ needs strict discipline to keep him from misbehaving and enlists the help of fellow nanny, Samantha, who winds up being a dog nanny. 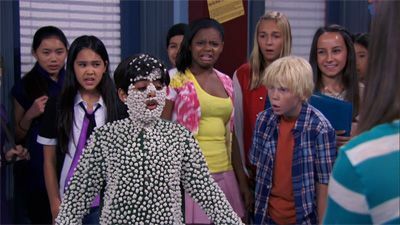 Meanwhile, the kids break into Bertram’s cluttered room and Jessie makes them help clean it up after all of it fell and turned into a huge pile of Bertram's things which Ravi gets stuck in. Emma wants her license, so Jessie teaches her how to drive. 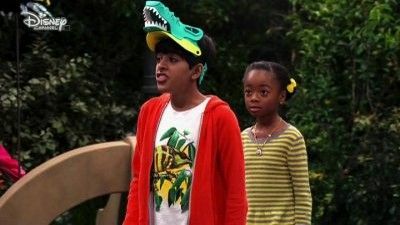 Ravi and Luke accidentally break one of Zuri's games, forcing a stand-off. Jessie is put in charge of a carnival to raise funds for the school. Meanwhile, Luke watches the carnival from home through binoculars and witnesses a suspicious act. Jessie finds herself in unfamiliar territory when Emma's unexpected behavior gets her into trouble at school. Meanwhile, Luke takes on the role of Sensei to train Zuri for her upcoming karate belt test. #21 - Lights, Camera, Distraction! Jessie becomes frustrated that she can't land any acting gigs, so she takes matters into her own hands by participating in a 24-hour film festival. She recruits the kids to help her direct, shoot and edit her film, but things get complicated when all the kids have their own ideas about what the film should be. Jessie and Tony set each other up on blind dates. Luke and Ravi volunteer at the zoo. 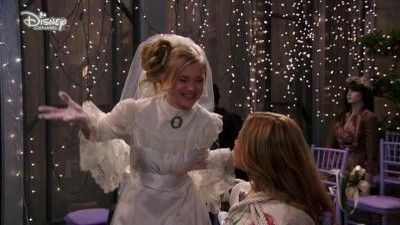 When Brooks lands a job in Africa and has to be there in two days, he and Jessie are forced to move up their wedding.